Improve posture and strength on the dome. 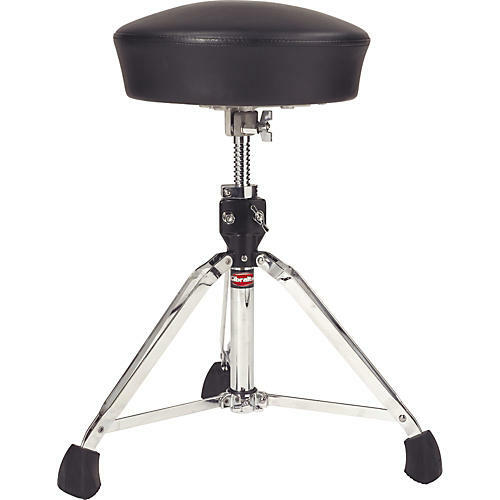 Unlike conventional flat throne seats, Gibraltar's Dome throne design incorporates ergonomic seating into your playing routine. The result is improved posture, balance, circulation, and core strength. Much like sitting on an exercise ball, the dome throne engages your postural muscles by creating an unstable surface to sit on, your body must find the most efficient way to balance. Since the best way to sit is with proper spinal alignment, you will have a natural tendency to sit upright with good posture while seated on the dome throne. The challenge of continuously re-stabilizing your torso while sitting on the dome throne strengthens spinal and abdominal muscles. And also helps improve circulation, allowing you to sit without back stiffness and fatigue.